Moans of pleasure from a delirious crowd - we hear you. Attention-getting introductions are useful but trying to do justice to such a monumental APV as this one is a literary challenge to say the least. Let us first say the Mow eGo/eVod APV kit isn't just cool because it has many abbreviations in it's name, definitely not. 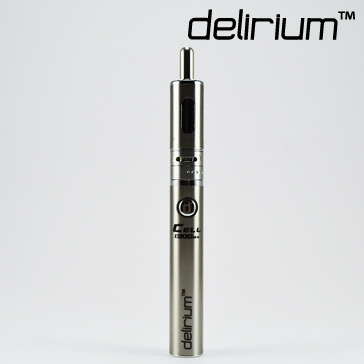 In addition to an awesome name, it boasts a heavyweight battery that perfectly complements the clearomizer not only in terms of volts and watts, but esthetically as well. The flawless combination of the Kanger Mow and delirium Cell eGo/eVod battery results in vapour performance at the highest possible levels with show-stopping looks that's guaranteed to make everyone look your way. Everything about this APV is an automatic 10 but the price is a near zero. With such an affordable price tag to accompany razor sharp technology and trend-setting style, is it any surprise the Mow eGo/eVod APV has become one of the most revered kits on the international vaping scene? The Kanger Mow is such an innovative clearomizer that it's been the topic of conversation ever since it hit the shelves - and for good reason too. The Mow is precision engineered with V2 upgraded bottom dual coil technology (BDC), and this is a serious development that can only be described as innovative. The V2 coils are improved to such unheard of levels that the concept of 'vapour performance' has shifted to unthinkable levels. Classic electronic cigarettes are generally acceptable by most vaping standards but when it comes to flavor transmission, the Mow reigns supreme. The hugely improved coils also make for the most dense, most divine clouds of vapour you can imagine. Words can only do so much justice to the chunks of voluminous vapour these V2 heads produce; you honestly have to see it, you have to feel it hitting your throat - and the throat hit is so incredibly good, there's a good chance you'll never want to vape with another atomizer ever again. Vapour performance is unquestionably the strongest suit of the Mow but a glassomizer is only as good as the materials and workmanship that goes into it - and this is yet another area the Mow excels in with a stainless steel body and a 1.8ml tempered Pyrex glass chamber. The greatness doesn't stop there; the five airholes on the Mow lets you customize how much air flows through the system and allows you to optimize your vaping experience according to your inhalation strength. Add to that a removable drip tip and you get the majestically practical and efficient clearomiser known as the Mow. The atomizer is also remarkable for being a bottom heating and bottom filling device - both features add even more gusto and usability to an already awesome clearomizer and guarantees a flawless vaping experience loved by all and matched by none. The beauty to match the Mow? 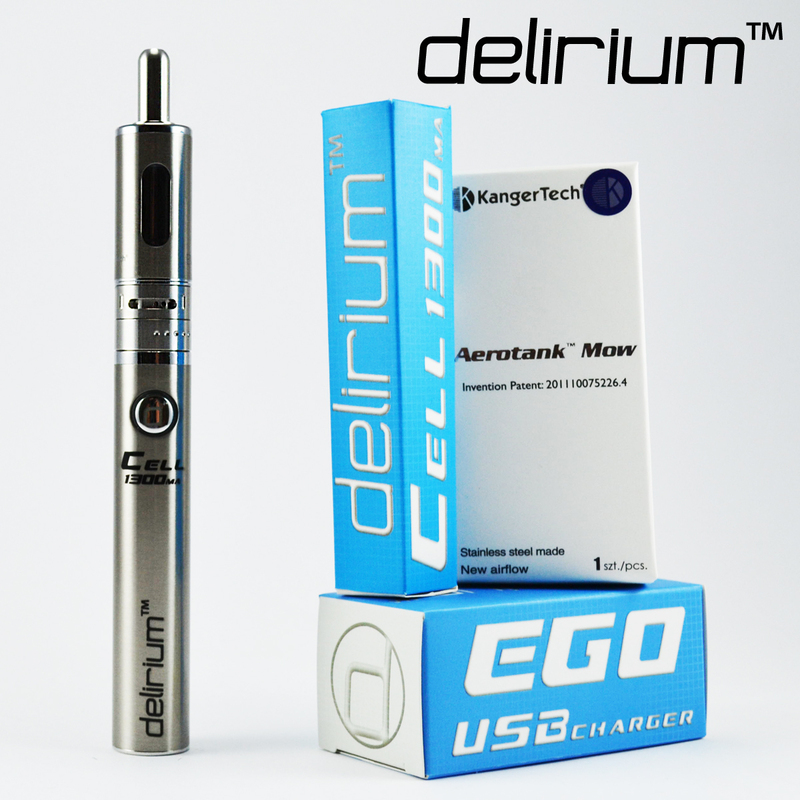 The delirium Cell 1300mA eGo/eVod compatible battery that's really more like a nuclear power plant. The delirium Cell 1300mA eGo/eVod battery consistently churns out stable levels of power that needs recharging once when you get your first job and once when you retire. 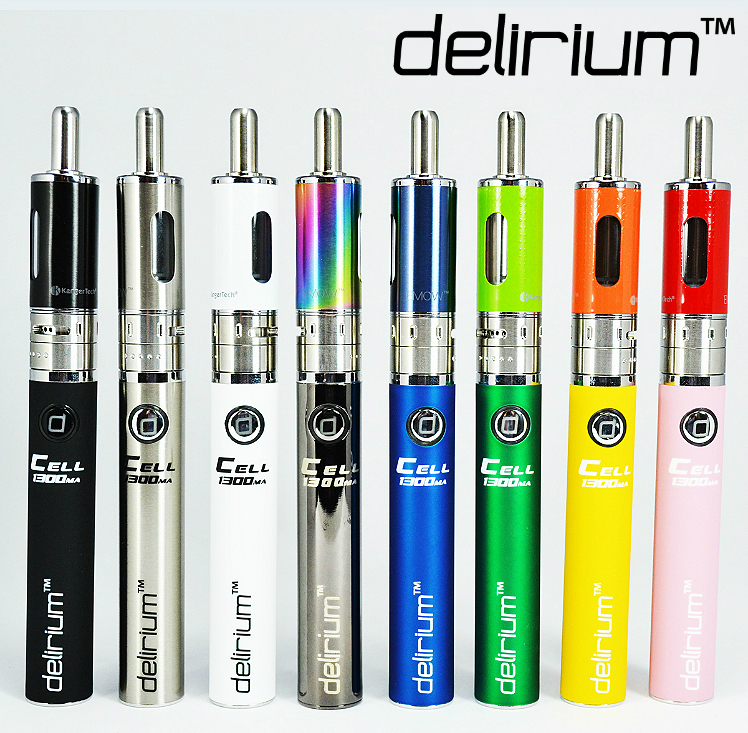 The delirium Cell 1300mA battery is ideally suited for the Mow and together they form an unbeatable pair in terms of vapour quality, performance, visual appeal and price. Still, a picture is worth a thousand words so take a look at the pictures and decide for yourself - but be quick, offer is good while stocks last and they are running out fast. Hugely improved flavour transmission from e-liquid to vapour with new and much improved V2 bottom dual coils. Latest airflow control technology to fit your preferred inhalation strength. All action is from the bottom up - better vapour, easier refills. Made from stainless steel and tempered Pyrex glass for the best results. Sports a removable drip tip, has eGo threading, and all parts are replaceable. Massive attention-getter; a great conversation starter. →If you don't always have access to a USB port to charge your battery, we suggest you consider a 220V wall-to-USB adapter that will allow you to charge through a wall socket. Wall-to-USB adapters are EU compatible (UK and other countries might/will need an additional adapter). Please click here.